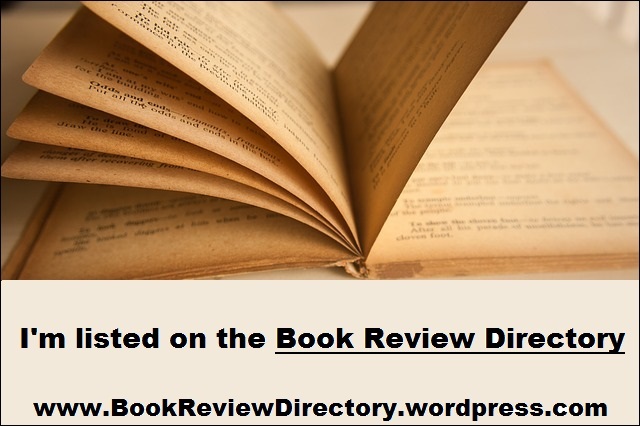 This is not an exhaustive directory — but a listing of those authors who show up here a lot, are especially beloved here, or just seemed like people I should feature — and whose names are filed under V-Z. I’ve never been a horror movie guy — but I watched a couple of the Elm Street movies as a kid, mostly because my younger sister was obsessed by them. Still, if I sang this song, played a bit of either The Fat Boys or DJ Jazzy Jeff and the Fresh Prince’s songs about the movies (the musical bit), she would get freaked out. Something about that song immediately tapped into the fear of that movie for her (and made it very easy for her older brother to torment her). I mention that because the Bone Keeper — an Urban Legend, a bogeyman story — has his own song that kids throughout all of Liverpool know and have known for decades/generations. He’s a supernatural being, living in the woods near/around the city who captures kids and adults, kills them and keeps their bones (hence the name). Clearly just a story to be told around campfires, etc. Right? One more way for older brothers, cousins, etc. to torment their younger friends and relations. But when an injured, bleeding, and disoriented woman comes stumbling out of the woods singing that song, everyone (police, media, social media users) starts wondering — is the Bone Keeper real after all? DC Louise Henderson and DS Paul Slater are officially skeptical (okay, more than skeptical) about the Bone Keeper’s involvement in the attack on the woman as they begin their investigation. Finding bodies in the area near where she was probably attacked (and inexplicably escaped), with strange symbols carved into nearby trees only fuels the speculation — and perhaps gets at least one of the detectives thinking that maybe they were too quick to write off the “out of the box” suspect. As the investigation continues, the options are (at least for the reader, even if Henderson and Slater can’t think this way): there’s a deranged serial killer out there taking advantage of the Bone Keeper legend to mask his crimes; there’s a deranged serial killer out there that thinks he’s a supernatural creature, killing people; or there’s a supernatural being out there killing people. Veste writes this in such a way that every option is a valid conclusion up until the moment he has to make it clear just what’s been going on. 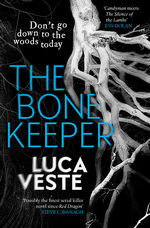 Like the Elm Street movies, The Bone Keeper isn’t my kind of book — but I gave it a shot anyway. I’m so glad I did. It was gripping, it was addictive, there are many other adjectives I could use here, but they don’t seem to be adequate. Let’s say that it’s the kind of book you read in the waiting room of your doctor’s office and hope that he’s running late (I was able to read enough to get to an acceptable stopping point so I didn’t resent him being pretty much on time). I cannot talk about this book the way I want to — I’d ruin everything. I’ve deleted several sentences (or at least the beginnings of several sentences) already — and I’ve not typed a few others. Take the premise above and imagine the best way to tell that story — that’s precisely what Veste has given us. The opening chapter is one of the creepiest that I can remember reading — and things only move quickly from there until the action-packed conclusion and almost-as-creepy coda. Haunted characters, haunted families, haunted woods — in at least one sense. The Bone Keeper‘s characters and setting are rife with opportunity and material for Veste to use to tell his story of a literal walking nightmare. A police procedural that brushes up against the horror genre — this is a thriller that’ll stay with you for a while (I’m not sure how long it’ll stay with me, but I can tell you I’m avoiding places rich with trees for the foreseeable future). Good grief! It’s taken me almost a year to read the second in this series? 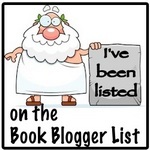 I’ve got to get this TBR under control. You can’t choose the last words you ever say to your child — and that’s what they are, no matter what age — as they leave the house. Off to school, off out with friends. Off to work, or on a date. You don’t think of them as last words. Just another part of the ongoing conversation, the never-ending role as a parent. But at some point, they will be the last words you say to your child, and for too many parents in these pages, those words come a lot sooner than anyone expected or wanted. 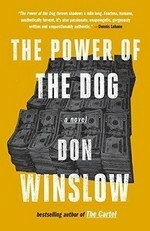 Which is just part of what makes this novel so effective and devastating. So often (arguably, too often) in books about mass killers, the killers are depicted as geniuses, psychopaths, sociopaths, or a combination of thereof. The villains of this book (without giving too much away, I think) are regular people — people you pass by every day, see in stores, say hi to walking down the hall at work, or maybe even chat with a bit by the coffee pot. They’re hard-working, responsible adults — vote, pay taxes, help their neighbors, maybe raised a few kids. But life has dealt them one too many band hands and they make some horrible choices in response. And then things spiral out of control. The victims aren’t the easiest to sympathize with — at least on the surface — they’re young men, technically adults, but kids really. Petty criminals — felons-in-training, on the whole — loiterers, drug users, public drunks, vandals. Not the kind of criminal you stay awake at night worried about, but you certainly don’t want your kids turning out like them or your daughters dating them. On the whole, men who could profit from a good mentor, like the folks in the previous paragraph. That’s more spoiler-y than I tend to go around here, but that’s just the first 50 pages. One of these ne’er-do-wells shows up dead on the steps of a church, bringing Murphy and Rossi into the story, investigating this murder and eventually understanding that there’s more going on. This particular murder victim has been missing for months, but given his frequent delinquency, no one other than his mother, took his disappearance as anything to be concerned about. The reader, by this time, knows that he’d been kidnapped by our fine, upstanding citizens for the purpose of (re)educating him and redirecting his life — up until it was ended, and he wasn’t the only one being (re)educated in this fashion. The question is, will Murphy and Rossi catch up to the reader’s information in time to stop them before another young man is killed? Pretty much at this point, the reader can plot the rest of the book and do a pretty good job of it. What the reader won’t be able to do is pace it like Veste does — it seems like he breaks several Basic Thriller 101 rules on that front. More than once I muttered, “What, he’s doing that now? Already?” (and once or twice the opposite — “he finally got around to this?”). He may have broken pacing rules, but he did so in a way that worked. Which is really all that matters, right? It’s the characterizations that bring this home — Murphy and Rossi dealing with their demons as well as the mystery surrounding the missing and then murdered victim; the kidnapped men/boys; as well as the kidnappers. He doesn’t dive too deeply into the various kidnapper’s frame-of-minds, just enough that we understand what they did and why — and how they reacted to the chain of events they set in motion. We get a little deeper when it comes to the victims — which allows us to empathize with them. But Veste also makes us looks at what the people around these victims thought of them and their families (mostly their mothers) both before and after these boys became victims. It’s at this point that society at large fails. Veste doesn’t fall into the trap of trying to fix societal ills, but man, he makes you think long and hard about your attitudes about some people. The fact that he does that while telling a chilling crime story is all the better. There’s more to be said about some of this, it’s a very ambitious work — I have many more notes about things I intended to talk about, but I think I’m going to stop here so the focus stays on the vital stuff. Veste tapped into something powerful here, and that overshadows a lot of the nuances I could talk about (and outweighs the few nits I want to pick). From the wrenching opening pages to the guy-punch of a conclusion, The Dying Place is a gripping police procedural featuring characters you can’t help but like and root for, even while the world around them comes apart at the seams. So, Captain Rogers has escaped with his life after saving the 331st Meridian Fleet from a takeover from almost all the droids on board, now he’s been made acting admiral and is faced with a potentially bigger threat: the Thelicosan fleet — the very fleet that Rogers’ ships are to keep on their side of the border — has informed him that they are about to invade. Given the size of the fleets facing off, this is an invasion that will not go well for the 331st. So how is this would-be con-man, former engineer, and current CO going to survive this? He hasn’t the foggiest idea. 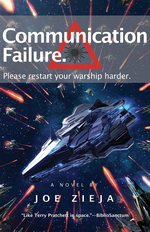 Clearly, for those who read Mechanical Failure (and those who haven’t have made a mistake that they need to rectify soon), whatever solution he comes up with is going to rely heavily on Deet and the Space Marines (the Viking/Captain Alsinbury and Sergeant Malin in particular) will be heavily involved. Malin has taken it upon herself to help Rogers learn some self-defense (even if that’s primarily various ways to duck), the Viking is questioning every decision her new CO is making, and Deet is continuing his exploration into human behavior/consciousness (he’s exploring philosophy and spirituality at the moment — which is pretty distracting). Basically, if Rogers is looking for a lot of support from them, he’s going to be disappointed. It turns out that the Thelicosans didn’t intend to send that message at all, what they were supposed to communicate was very different, actually. But before Rogers and his counterpart can find a way to de-escalate the situation, shots are fired, milk is spilled, and events start to spiral out of control. Which isn’t to say that everyone is doomed and that war is inevitable, it’s just going to take some work to keep it from happening. There are forces, groups, entities — whatever you want to call them — hawkish individuals who are working behind the scenes to keep these cultures at odds with each other, hopefully spilling over into something catastrophic. Which is something too many of us are familiar with, I fear — and something that someone with Zieja’s military background is likely more familiar with. The Thelicosans and Meridians discover who these people are — and how they are attempting to manipulate the fleets — and the big question is how successful they’ll be. We focus on three Thelicosans, but spend almost as much time on their flagship (The Limiter) as we do the Meridian flagship (Flagship). Grand Marshall Alandra Keffoule is the commander of the border fleet — at one time, she was a star in the special forces, and now she’s been assigned to the border fleet as a last chance. She fully intends on taking full advantage of this opportunity to make history and restore herself to her position of prominence in the military. Her deputy, Commodore Zergan, has fought alongside her since the special forces days and is now trying to help her rebuild her reputation. 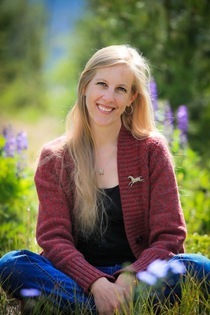 Secretary Vilia Quinn is the liaison between the Thelicosan government and the fleet. Quinn’s development through the book is a lot of fun to watch — and is probably a bigger surprise to her than it is to the reader, which just makes it better. Thelicosan culture is saturated in science and math, and is full of rituals that are incredibly binding and incredibly difficult for outsiders to understand. In many ways, the culture is hard to swallow — how a society develops along those lines seems impossible. But if you just accept that this is the way their society functions, it ends up working and stays consistent (and entertaining). Lieutenant Lieutenant Nolan “Flash” “Chillster” “Snake” “Blade” Fisk, the best pilot the 331st has is a great addition to the cast — yeah, he’s probably the most cartoonish, least grounded, character in Rogers’ fleet — but man, he’s a lot of fun (and I think it’s pretty clear that Zieja enjoys writing him). think Ace Rimmer (what a guy! ), but dumber. Mechanical Failure‘s most cartoonish character, Tunger, is back — the would-be spy/should-be zookeeper finds himself in the thick of things and is well-used (as a character) and is well-suited to his activities. Basically, I put up with him in the last book, and enjoyed him here. I’d like to talk more about Deet and the other characters here — I’ve barely said anything about Rogers (he develops in some ways no one would’ve expected) — but I can’t without ruining anything, so let’s just say that everyone you enjoyed in the previous installment you’ll continue to enjoy for the same reasons. Mechanical Failure didn’t feature a lot of world-building outside life on the ship. Zieja takes care of that this time — we get a look at the political situation between the various governments, and the history behind the four powers. Which isn’t to say that we’re drowning in details like George R. R. Martin would give us, it’s still breezy and fast-paced. Still, there’s a handle you can grab on to, some context for the kind of madness that Rogers finds himself in the middle of. One of my personal criteria for judging books that are heavy on the humor in the midst of the SF or mystery or fantasy story is judging what the book would be like without the jokes. The Hitchhiker’s Trilogy, for example, would fall apart in seconds (and few rival me for their devotion to that series). Magic 2.0 would hold up pretty well, on the other hand. The Epic Failure series would be another one that would hold up without the jokes. I’m not saying it’d be a masterpiece of SF, but the story would flow, there’d be enough intrigue and action to keep readers turning pages. However, you leave the humor, the jokes and the general whackiness in the books and they’re elevated to must-reads. There are too many puns (technically, more than 1 qualifies for that), there’s a series of jokes about the space version of The Art of War that you’d think would get old very quickly, but doesn’t — at all; and Rogers has a couple of bridge officers that make the pilot Flash seem subtle. Somehow, Zieja makes all this excess work — I thought the humor worked wonderfully here, and I think it’ll hold up under repeated readings. I thoroughly enjoyed this book and can’t wait to see where Zieja takes us next. Disclaimer: I received this book ARC from the author, and I can’t thank him enough for it, but my opinion is my own and wasn’t really influenced by that act (other than giving me something to have an opinion about). They say you get used to it. One victim becomes another. An endless array of body parts lit up, wounds, scars blood. If you deal with death all the time, you develop a gallows humour, dark jokes passed around. Murphy knew differently. When it was bad as this, there was no levity to be found. You got on with the job, and hoped to catch whoever did it before it happened again. In most series, we’d meet DS Laura Rossi as she joins the detectives, probably partners up with DI David Murphy (who we might have known for a book or more already), we get to know her as she gets to know the job and Murphy. Murphy’s a good detective with some interesting choices in his personal life, she’s an eager (and educated) rookie tied to her family in ways she wouldn’t prefer. Then in the next book, we see a mix of tragedy, crime and bad timing wreak havoc on Murphy’s personal life and it spills over to his career. 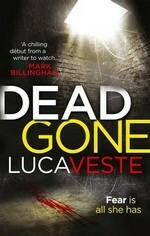 Now, in Dead Gone, he’s trying to put his life back on track, recovering from whatever career setbacks he’s stumbled into with the help of his sometimes partner and boss. But Veste jumps us right into book 3 without the foundation work — we get hints (and eventually more than hints) to put it all together — especially as it Murphy’s life becomes fodder for the killer’s taunting of the police. Honestly, I liked that approach. Other writers might not be as successful with it, but Veste pulled it off. You get the idea that Murphy was a really good detective, and if he can get his head back in the game, he will be one again. Rossi is well on the way to being a good one — but she might have hitched her wagon to the wrong mentor. Oh, yeah, the killer — bodies are starting to show up in Liverpool. Death by multiple means, but left in similar conditions — and with letters attached making references to classic psychology studies — many of which couldn’t be replicated today with contemporary ethical standards. But the killer seems to be taking them further than the original studies. And, well, he’s a serial killer, so ethical research methods aren’t at the height of his concern. I could’ve used a bit more of Rossi, I liked her as a character, but I enjoyed what we got. I understand that Murphy’s the star of the show, but hopefully she gets a bit more of the focus later on. The rest of the squad is pretty much what you get in any police procedural — I’d be happy if I don’t have to see Det. Bannon ever again, but hopefully he gets what’s coming to him — or a healthy dose of character growth — soon. Murphy is dealing with a whole mess of personal issues as he’s leading the investigation — but it doesn’t really distract from his work, maybe it even helps it. This is tightly plotted, moves at a good pace — Veste doesn’t waste anything, there’s no fluff, no fat to this prose. Probably because I know there’s another 3 books so far in the series, I didn’t worry about the danger posed to our heroes at any point, but the tension was real. The terror visited upon the victims was more than real — Veste does an outstanding job of getting into the heads of some of the victims without getting exploitative. Too often in serial killer novels the victims are just corpses (or something that’ll be a corpse soon), so no need to really care about them. Not here — and what a nice change of pace that is — they’re people, not props. This really isn’t a whodunit kind of novel — Veste pretty much gives it away pretty early on. Not that this stops him from dragging a large red herring across the reader’s path. Yeah, it’s pretty obviously a red herring — but he uses it well as such — and then . . . well, let’s just leave it as I didn’t see what he’d do with that particular forage fish after it was clear that the killer they’re hunting for is someone else. I literally lost sleep staying up to finish this one — dragged myself through the next day at work, leaning on coffee just to seem passably competent. And it was worth it. 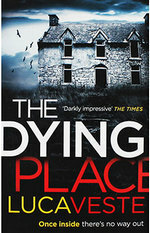 I will be grabbing the next installment, The Dying Place, very soon. 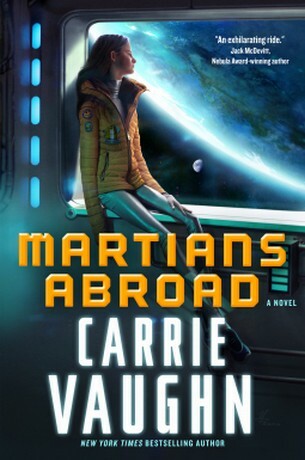 Welcome to Part II of the Book Tour for Martians Abroad by Carrie Vaughn — if you missed the first part, go check it out and enter the giveaway for a free copy. There are so many things that I want to say about this book, I don’t know if I’ll be able to get to them all — seriously, I have a checklist that’s daunting — but let’s give it a shot. I remember while growing up back in the 20th century that SF was fun. Maybe fun isn’t the right word, but stick with me — sure, the stories were serious, there were real stakes (usually), not every ending was happy, and so on — but there was an overall sense that the future would be okay, that space travel and aliens (at least the ones not trying to kill us/take over the world) were positives, and that there as something in humanity that made it all worthwhile. But more and more that went away, and the future became (when not downright dystopian) a grim place with people struggling to survive. By and large, who wants to live in the future depicted in SF now? Sure, there are exceptions, but most of those are in the Douglas Adams’ tradition (Scalzi and Clines would be good exceptions to this) — “light” or humorous SF. I’m not saying that I want an end to those stories, or that I don’t enjoy the darker SF. But I wouldn’t mind more SF that makes me feel okay about the future, rather than wanting to return to the carefree days of the end of the Hoover administration instead of getting to 2040 and beyond. 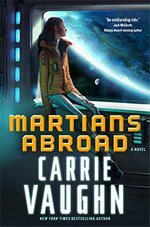 Enter Carrie Vaughn and Martians Abroad — an update of Heinlein’s Podkayne of Mars (not unlike Scalzi’s take on Little Fuzzy in Fuzzy Nation). Now, I’ve not read Podkayne, but I assume that it could use a little update and some tweaking. Not necessarily to improve it, but to make it “fit” the readers of today. Like a good cover song, such an update can revitalize an older work, showing different aspects of it, without having to replace it (see Parton and Houston’s “I Will Always Love You”). Since I didn’t read the original, I have no real idea how much of the plot of this book came from Heinlein and how much is straight from Vaughn herself — and I really don’t care outside of some vague curiosity. What I do know, is that Vaughn took some classic ideas and did something that only she could do with them. She gives us a vision of the future that’s not perfect, but seems like an okay place to be. This doesn’t make it better (or worse) than other SF works — just a refreshing change of pace. From Lowood Institution to Trinity High School to Welton Academy to Hogwarts (and many others), there’s something about boarding school stories that just works. You get a little bit of a fish out of water story, usually an oppressive administration, some unofficial traditions shaping actions (frequently at least brushing up on bullying), and a heckuva story ensues. Sure, as a kid (and even now) I always wondered why anyone would attend/send their kids to one, but apparently it’s a thing. Add the Galileo Academy to the list — it’s a school for the children of Earth’s elites, as well as those of a few select space stations and colonies. Charles and Polly Newton are the first students from Mars to matriculate there — by “from Mars” I mean that they’re from the human colony on Mars, not some sort of fully alien life. But really, in so many ways, they might as well be wholly alien — ditto for the students form various space stations or the Moon, etc. Due to differences in gravity, having to breathe pumped-in air, etc., their muscle structure bone density — and even digestive systems — have adapted to their environments to the extent that it’s easy to tell an offworlder by sight. How serious are these changes? Let’s put it this way — the non-Earth born kids can’t eat bacon. I know, I said this wasn’t a grim or dystopian view of the future, but that one fact makes me rethink that whole idea. Now, the last thing Polly wants to do is come to Earth — she has a plan for her future, and this isn’t anywhere near it. It fits right in with her mother’s plans (Polly just doesn’t know how), Charles convinces his sister to go along with his mother’s plan without much fuss — it’s not like they could stop things, anyway. The trip from Mars to Earth isn’t as bad as she expects and she begins to have a little bit of hope – only to have that crushed as soon as she starts to meet students and administrators from the Academy. Basically offworlders are seen as lower-class/working-class, not as sophisticated or healthy as those born and raised on Earth. Polly, Charles and the other offworlders find themselves grouping together, and the target of harassment of varying degrees of seriousness and intensity from the rest. It’s tough to tell how much of this is in their minds and how much this is real — at times it feels like Polly’s exaggerating how bad things are, but typically, her perceptions are substantiated. Before long, some accidents or other dangerous situations start occurring that put Polly and her classmates in jeopardy –and it’s not long before the students begin to wonder if there’s something other than chance at work here. While Polly seeks to integrate herself better into her new community — and she makes some pretty good strides at it (and some stumbles) — she, Charles and her friends try to figure out just who is targeting their class and why. Polly is a great character — strong-willed, fallible, smart, impulsive, brave, socially awkward — very real. Incidentally, you may have noticed that we share a last name — I’m claiming Polly Newton as my great-great-ellipses-great-granddaughter right now, and welcome her to the family. The rest of her classmates are just as well-drawn. I could’ve used a little more on the adult front — the teachers and administrators are largely absent, and are vaguely drawn. I do think that’s a function of Vaughn’s focus being on the students, not necessarily a flaw with the book — I just would’ve liked a bit more of adult presence. There is some real honest humor here — some of it comes from the situations, some of it is from Polly’s snark. But better than her attitude is the sheer awe she feels at Earth — the colors, the life, the non-greenhouse plants, the sky, the air. Her initial impressions of Earth were great — and they only got better from there — each time she left the confines of school, she discovered something new about this planet and the way it was described was better than the last. Polly’s a human, but from her perspective she’s an alien to this planet, she’s seeing it with fresh eyes. There are some villains (of a sort), some real opponents to be faced, but really, there’s no one evil. There’s some misguided people, some . . . unthinking/wrong-thinking characters. But there’s no Voldemort figure, no true evil. Just conflicting agendas, different priorities, unrepentant snobbery — it feels real. Again, a refreshing change of pace. Yes, this book is about teenagers, but it’s not a YA book. It is, like the SF I talked about at the beginning, YA-friendly, though. A book that I can recommend to friends as well as my kids and their friends — and, of course, you, whoever you are. The book was exciting, entertaining, filled with real situations in an appealing future. Vaughn’s to be thanked for such a pleasant change of pace, a breath of fresh air — and I hope we get to revisit this world (but if we don’t, that’s okay, this is a complete story as is). Disclaimer: I received this eARC from Tor Books via NetGalley in exchange for this post — thanks to both for this. Also, thanks to Tor for the opportunity to take part in the Book Tour.